Very recently, I read a story about Spencer Collins. 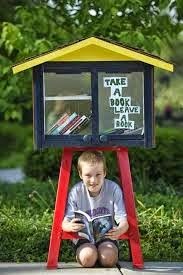 Nine-year-old Spencer had set up a 'Little Free Library' in his front yard as a Mother's Day present for his mother because,"Reading is one of my favorite things to do. 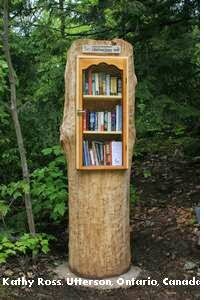 We built it on Mother’s Day as a present for my mom because she really wanted one.” He wanted his friends and neighbours to be able to 'take a book, return a book.' It was a fantastic gift, not just for his mother, but for the whole community. But, it wasn't to long before his local town council caught wind of this and made Spencer take it down, due to its' alleged violation of city ordinances. Spencer and his family fought this decision and, after a personal appeal to the town council by Spencer, his Little Free Library was reinstated! Fantastic result! Spencer is an inspiration. 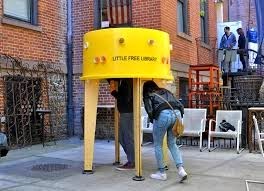 I had heard of Little Free Libraries before (and think it's a brilliant idea which the entire whole should support.) But I hadn't really done any research on the. So, it was on to their website and I was blown away! 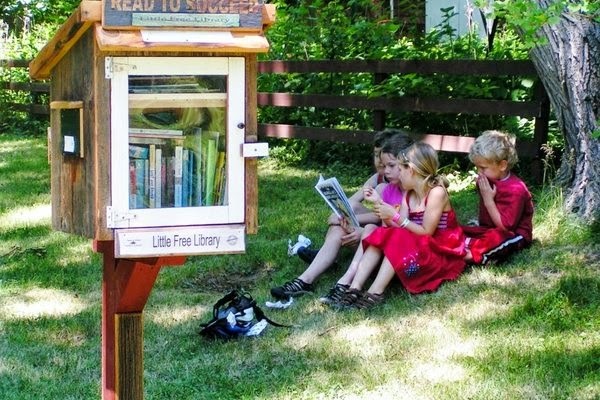 While Little Free Libraries exist in abundance in the U.S. (always room for more though...don't you think? ), I had no idea how world-wide this initiative really is. 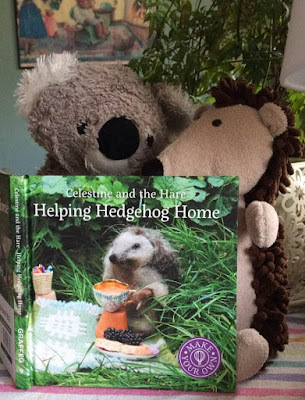 A glance at their World Map Appendix reveals Little Free Libraries in Canada, Australia, the U.K., Belgium, Vietnam, the Netherlands, India... I could go on. THIS is amazing! Now, I could take up a lot of space here explaining the whys and wherefores of the Little Free Library movement...or I could just give you the link to their website, where they tell you the story of the Little Free Library and everything you need to know about starting your own. 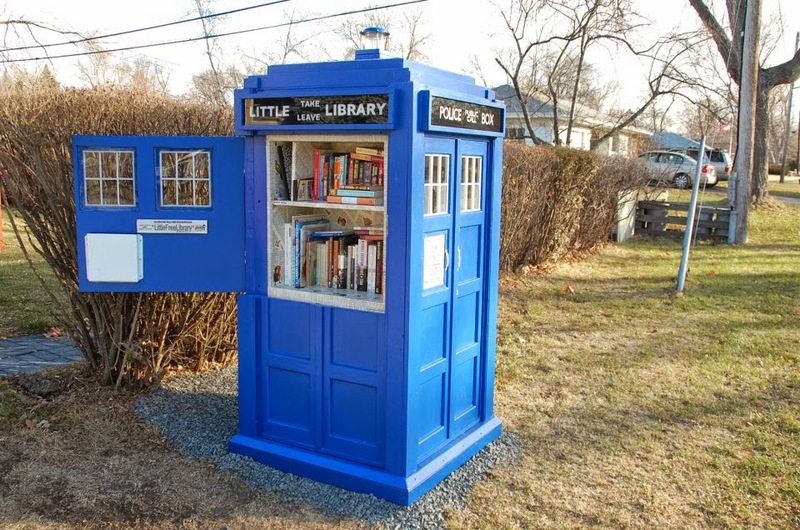 Or maybe, you already have a Little Free Library? Why not make it official and get yourself on the map by joining them? I can't think of a better way to encourage reading and build a stronger community, for everyone. Here's a photo of Spencer and his Little Free Library (top) and a few others...inspirational! Oh my dear heavens! I've let nearly all of September (and August, to be fair) pass by without posting. If you are reading this now....thank you so much for sticking with me! What a summer this has been. So many changes, so much shuffling around, so much to do...I do think it's been more time-consuming then normal. But here we are back in September (well and truly); kids back into their school routines, silly summer season over. I do want to make one plea to you all out there (in internet-land). As we go about our busy day-to-day; lets-get-things-done lives (as we must); please, please please, take the time to read to your children. It is so very important. And not just little children...read to them throughout their lives with you. Read to them (or with them) right into the time they are teenagers. You may be thinking this won't matter to them; that they won't want you to; that they can read themselves and don't need this. Nothing is further from the truth! 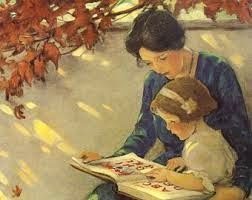 Reading to and with your children makes such a difference in so many areas of their lives. It has a huge impact on their education, intellect and emotional growth. It lets them know they are important; it lets you know you are important. So as the school days march on and the 'busy' parts of life take over; please take twenty minutes a day to read with each other. They will be grown and gone one day. You'll be happy you did...and so will they.